If you fell in love with these cuddly critters when we first featured them, come and see the newest additions to the Harry’s Garden menagerie. Heaties are snuggly creatures who provide kids with a warm friend after a quick zap in the microwave. 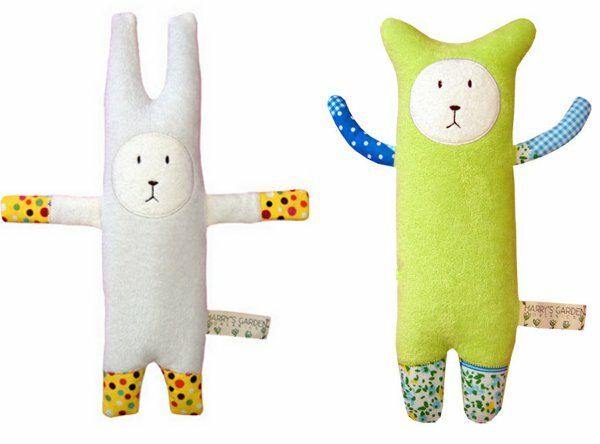 They are now made with certified organic bamboo fabric, and filled with flaxseed. Harry’s Garden has also sprouted a new addition, Smoochie the baby comforter. Smoochie is also made from hypoallergenic organic bamboo fabric, and has been designed to soak up mum or dad’s scent. 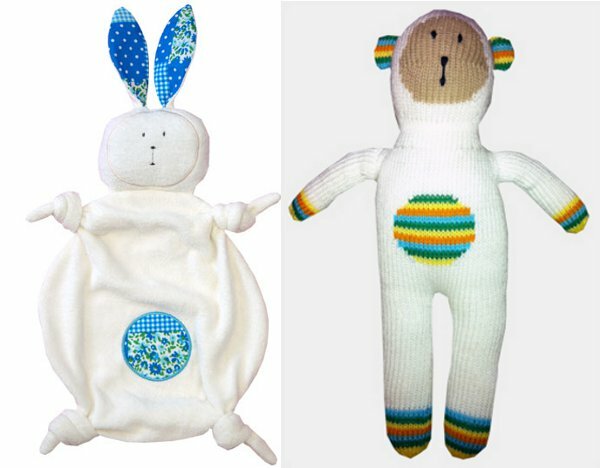 And check out the adorable Harry Monkey – hand knitted from organic cotton. Order directly from Harry’s Garden.